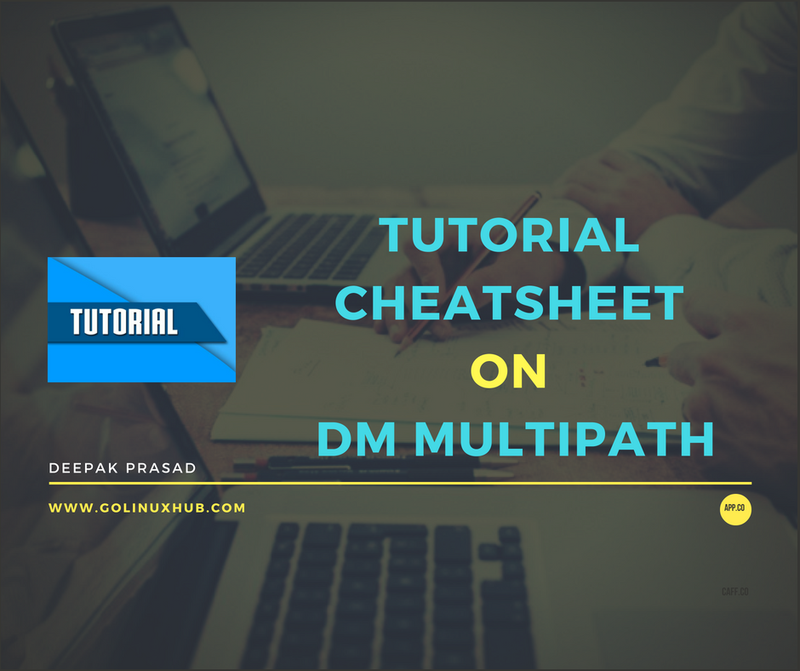 Without DM Multipath, each path from a server node to a storage controller is treated by the system as a separate device, even when the I/O path connects the same server node to the same storage controller. 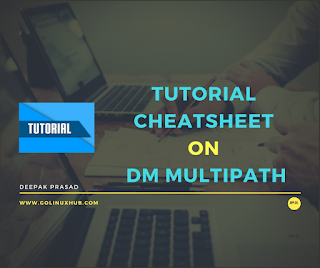 DM Multipath provides a way of organizing the I/O paths logically, by creating a single multipath device on top of the underlying devices. Each multipath device has a World Wide Identifier (WWID), which is guaranteed to be globally unique and unchanging. Each LUN is mapped to a disk for which also a unique WWID is generated and the same can be used for representing them in the configuration as the device name may change post reboot while the WWID will not change and are reboot persistent. A node with two HBAs attached to a storage controller with two ports by means of a single unzoned FC switch sees four devices: /dev/sda, /dev/sdb, dev/sdc, and /dev/sdd. DM Multipath creates a single device with a unique WWID that reroutes I/O to those four underlying devices according to the multipath configuration. Where H is the HBA number, C is the channel on the HBA, T is the SCSI target ID, and L is the LUN from the Storage. product "P2000 G3 FC|P2000G3 FC/iSCSI|P2000 G3 SAS|P2000 G3 iSCSI"
Class Device path = "/sys/devices/pci0000:00/0000:00:02.0/0000:04:00.2/host0/fc_host/host0"
active_fc4s = "0x00 0x00 0x01 0x00 0x00 0x00 0x00 0x01 0x00 0x00 0x00 0x00 0x00 0x00 0x00 0x00 0x00 0x00 0x00 0x00 0x00 0x00 0x00 0x00 0x00 0x00 0x00 0x00 0x00 0x00 0x00 0x00 "
port_type = "NPort (fabric via point-to-point)"
supported_fc4s = "0x00 0x00 0x01 0x00 0x00 0x00 0x00 0x01 0x00 0x00 0x00 0x00 0x00 0x00 0x00 0x00 0x00 0x00 0x00 0x00 0x00 0x00 0x00 0x00 0x00 0x00 0x00 0x00 0x00 0x00 0x00 0x00 "
symbolic_name = "Emulex 554FLB FV11.1.183.23 DV11.2.0.6 HN:ban33-be002-2b OS:Linux"
tgtid_bind_type = "wwpn (World Wide Port Name)"
Class Device path = "/sys/devices/pci0000:00/0000:00:02.0/0000:04:00.3/host1/fc_host/host1"
This is an alternate command which can be used to check the loaded configuration for selected values as shown below. The mapping is done using /etc/multipath/bindings. # lspci -nn |grep -i "Fibre"
# lspci -nn |grep -i "HBA"
A worldwide port number (WWPN) is unique identifier for each FC port of any Fibre Channel device. For server, we have a WWPN for each port of the HBA. For a SAN switch, the WWPN is available for each port in the chassis. Here we have two HBA so each HBA will have unique World Wide Port Name (WWPN) which will be connected to the SAN switch then to the Storage Box. These are the WWPN number. A worldwide node name (WWNN) is a globally unique 64-bit identifier that is assigned to each Fibre Channel node or device. For servers and hosts, WWNN is unique for each HBA (host bus adapter), and in a case of a server with two HBAs, they have two WWNNs. For a SAN switch, the WWNN is a common for the chassis. NOTE: You can get the device detail from "multipathd show config"
Thank you, everything in one page.